Coat the chicken in flour, egg then breadcrumbs. Fry at 160 degree Celsius until cooked through and golden. Combine avocado, HELLMAN'S Ranch Dressing and KNORR Lime Powder together and lightly crush. Set aside for use. CombineKNORR Japanese Teriyaki Sauce GF and KNORR American Chipotle BBQ Sauce GF together and set aside for use. Shred the carrot, cabbage and onions, combine together, add sugar and rice vinegar. 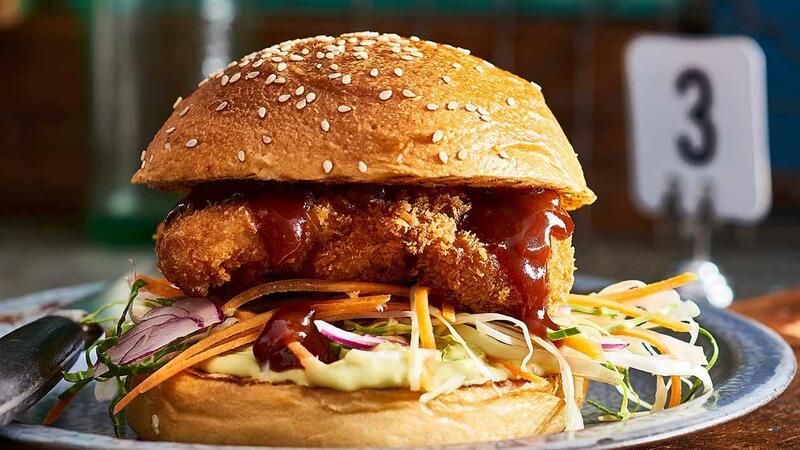 Cut and grill the buns and assemble the sandwich in the following order – bun base, avocado, slaw, chicken, sauce and top bun.